Ms. Pham Thi Thanh Nga is a Ph.D. researcher in the VARMAP section at UNU-EHS since March 2015. She studied MSc in Agricultural Economics at Thai Nguyen University of Economics and Business Administration, Vietnam. Her Masters studies focused on analyzing the economic efficiency and identify factors impacting on the status of tea production and how to develop tea production of farm households in Thai Nguyen city, Vietnam. 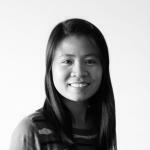 Before joining UNU, Ms. Nga was a lecturer at Thai Nguyen University of Agriculture and Forestry, Vietnam. In 2013, She got a scholarship from her Government (Vietnam) to pursue a Ph.D. in Germany. Her Ph.D. research will focus on the livelihood of rural households and how they can adapt to flash flood and landslide in the Northern Mountainous Regions of Vietnam.